It was the first city I came across after landing on this remote continent. 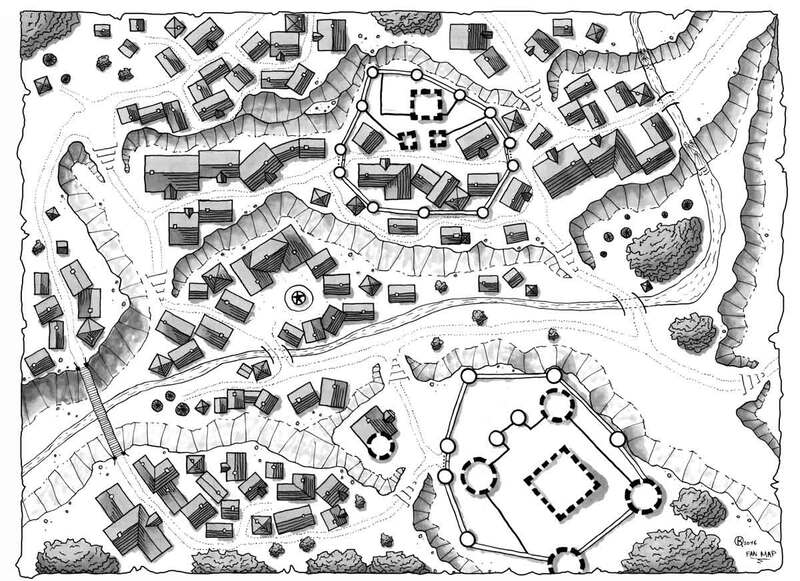 A small village compared to the cities I knew, but it had nothing to envy them in economic prosperity thanks to the surrounding mines and the unfailing security provided by the solid fort held by seasoned knights. There was everything necessary for a good life. The caravans of merchants were composed only of local people. During my stay of a few hours, I was constantly under the watchful eye of a guard and during my stay at the inn, it became clear that the foreigners weren’t welcome and their heavy silence encouraged me to leave by the northern path. They concealed something, perhaps an ignoble and dangerous secret connected to the reddish color of the little river which flowed in the middle of the village. I could observe it, crossing the strange enclosure of old stones in the village itself and I thought I saw pregnant women, dozens, bathe there. After a while, I noticed that I didn’t see any children.